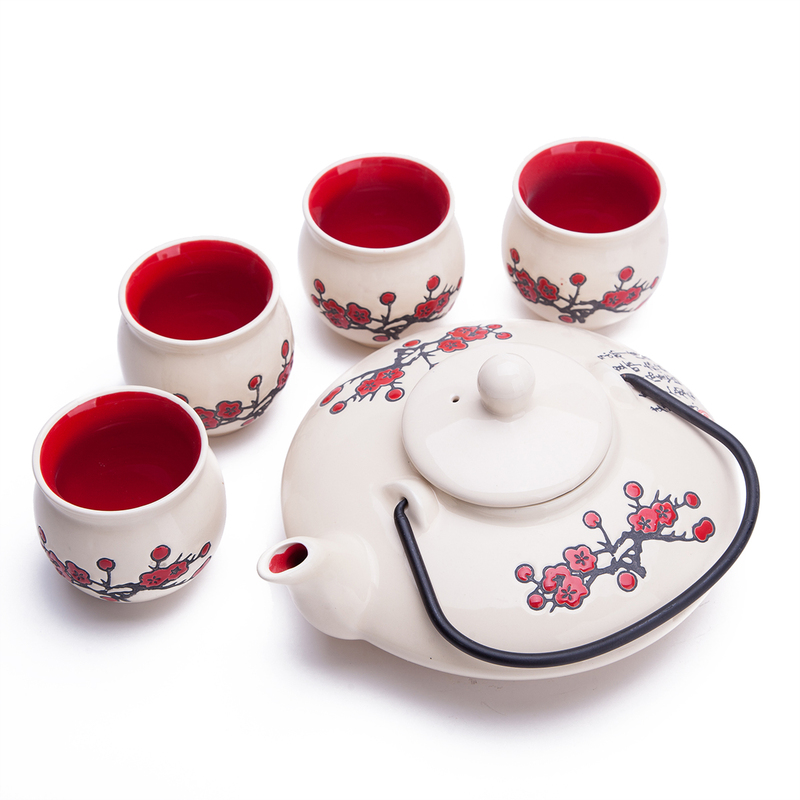 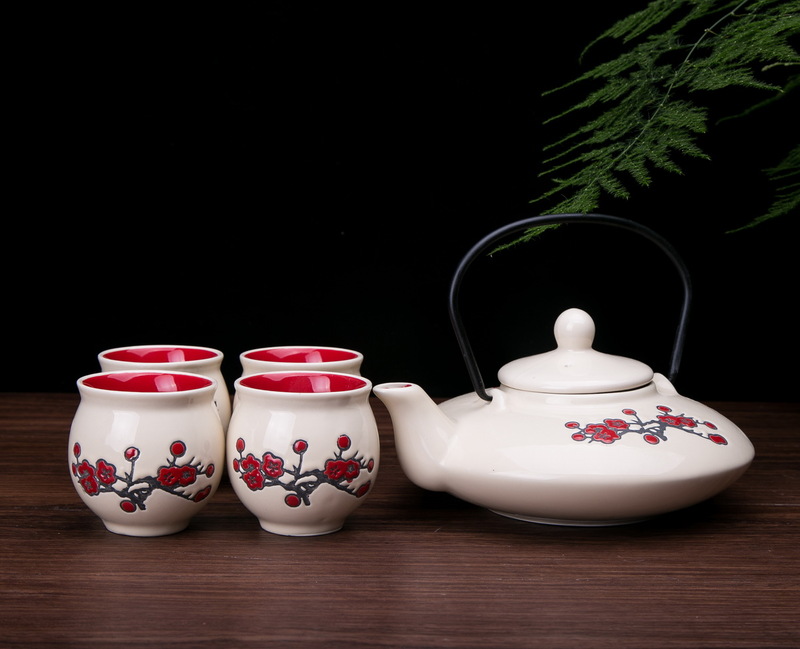 Beautiful Contemporary Art Decor Porcelain 5 PCS Tea Set in Plum Blossom design, made from Jingdezhen--the most famous porcelain making town in China. 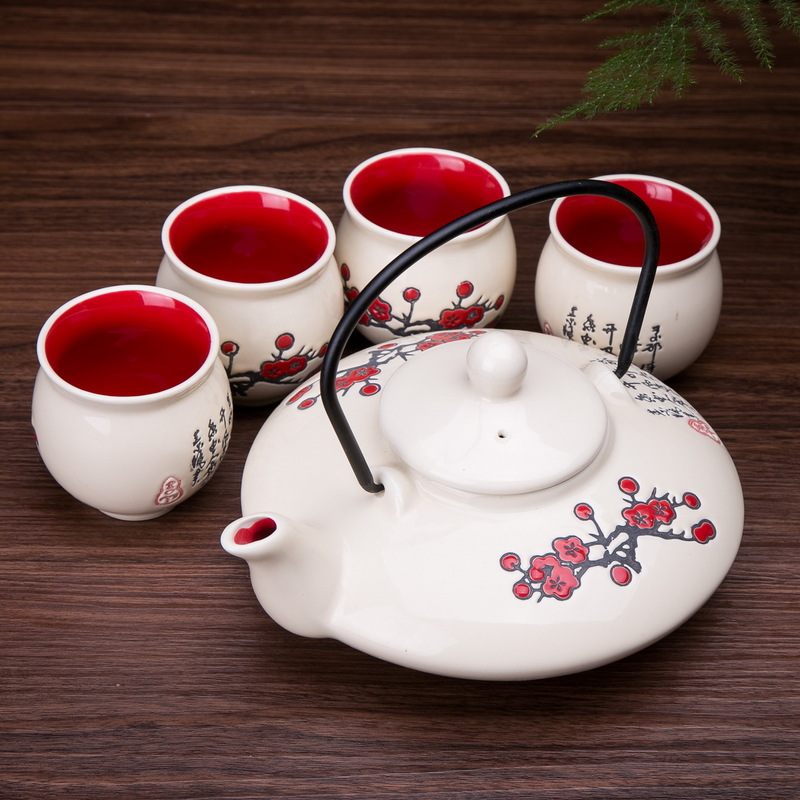 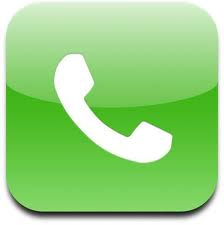 Its superior quality and elegant design making it perfect for everyday use, great for a present too. 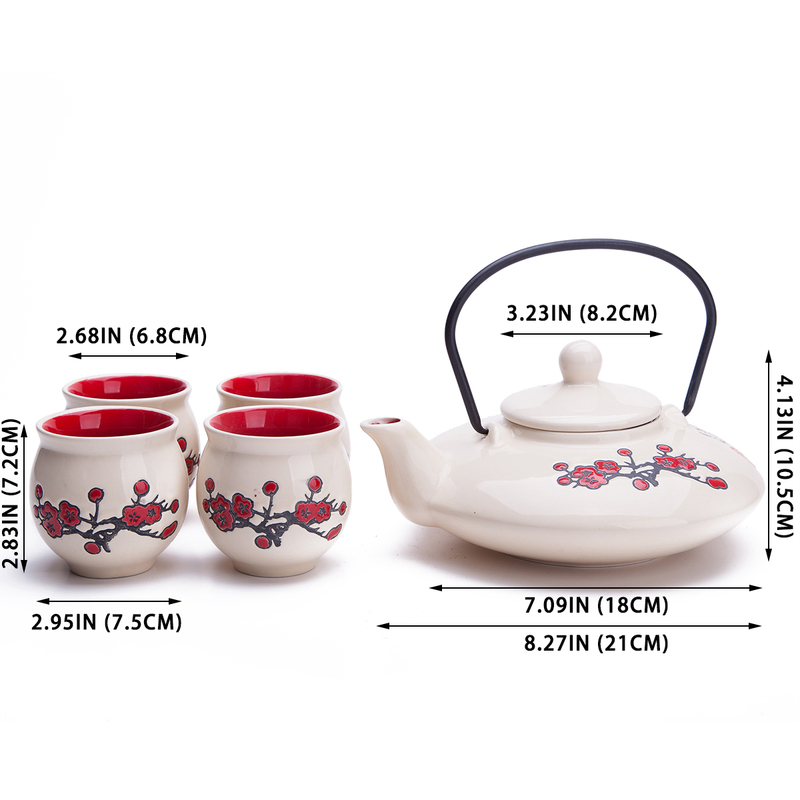 Dimensions Aprrox: Teapot: L8.27" x D7.09" x H4.13" (H7" with handle), Cups: Diameter 2.95" x H2.83"